Is transience really a cultural Achilles' heel for Madison? 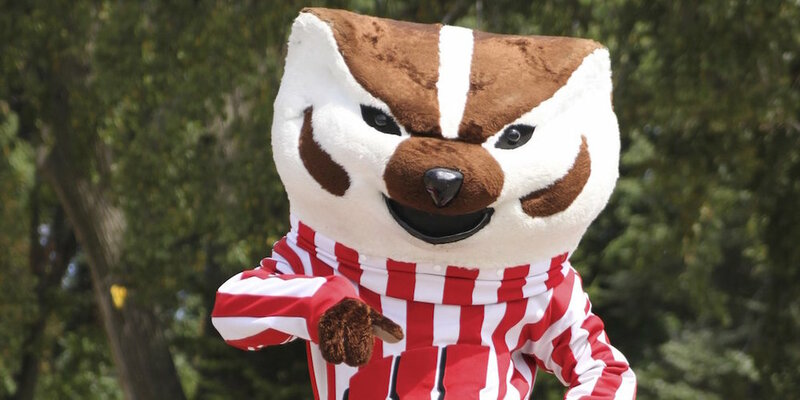 Bucky Badger in his annual ritual of leading all the culture out to the city limits, or something. Photo by Mark Riechers. One of our contributors, Joel Shanahan, recently appeared on the Milwaukee Record podcast to talk about the Madison-Milwaukee divide. Joel's discussion, with Record co-editor Tyler Maas and comedian Ryan Mason, got me thinking about the narrative around Madison being a college town, and especially how that's applied to Madison's cultural offerings. One of the common narratives goes like this: "Well, it must be hard to maintain a music scene in Madison, because it's a college town and people start bands in college and then graduate and move away, right?" In my experience that's way less of a defining factor than people imagine it to be. When I hear this, and sometimes it's from people who live here, I find myself wanting to lay out a whole briar patch of qualifications and “yes, but"-s. I can't say I have a hard-and-fast opinion about it at this point, but it's worth trying to puzzle out. I mean, yes the exact thing the cliche posits definitely happens—for instance, this year journalist and MC Michael Penn II, AKA CRASHprez, graduated from UW-Madison and is moving away to the Twin Cities, and we're definitely poorer for it—but that's hardly the whole story. There are simply too many people, artists and audience members among them, who live here and aren't tied to that cycle. And I think it's worth maybe drawing a distinction between “college town" and what Madison really is, which is a “major public research university town" (our wonderful legislature's efforts to turn it all into a smoldering anti-intellectual crater notwithstanding). And I realize I'm reinforcing another Madison stereotype—that our city is a real special snowflake and super navel-gazey—by writing about this, but oh hell, it's true anyway. Of course, there's no denying that the university is the central economic force in Madison, and that it breeds a great amount of transience. But it also breeds a lot of permanence, in the long-term employment it creates for thousands of faculty and staff, and in the economic activity it generates for local businesses. Plus, there are lots of people and neighborhoods in Madison that may be inexorably economically tied to UW-Madison, but culturally speaking are very removed from the transient student population. Not to mention people who grew up here and end up staying long-term—and for whatever reason I feel like I'm running into more and more of those people as I cover local music these days. For musicians, artists and other creative types I've known who've moved away, it's rarely just a clean break—often, they end up still contributing to Madison, even if just in small, sporadic ways, but usually it's more meaningful than just swinging through for the occasional show. And even if that's not the case, the transience is part of what makes Madison interesting, not something we should see as just a disadvantage. Even when a particular individual doesn't stay here in the long run, he or she may be helping to build something more lasting for Madison's cultural community. For instance, CRASHprez, who I mentioned earlier, came here in part for UW-Madison's First Wave Spoken Word and Hip Hop Arts Learning Community, which as brought a constant stream of talented young MCs/poets/dancers/playwrights through UW since it launched 2007, sprouting the annual Line Breaks Festival among other events. Personally, I don't think there's so much transience here that the transience in itself is a damning obstacle to Madison having a healthy arts/music community. And especially in this relative lull that always happens after/between semesters, I tend to wonder if we ourselves make too much of it. I'd love to hear what other Madisonians think if you want to comment and join me in some Madison navel-gazing (of course you do, because Madison).